5 star hotel and a Leading Hotels of the World. Since its establishment more than half a century ago, Hotel Marbella Club has accumulated a wealth of history, full of extraordinary and unforgettable moments. The beach resort in Spain has been a meeting place for the international jet-set: aristocrats, stars of the entertainment world, business leaders and famous figures from all over the world. It all started in 1946, when Prince Alfonso von Hohenlohe and his father, Prince Max, visited Marbella with the idea of buying some land. The following year, Alfonso purchased Finca Santa Margarita as a family residence. 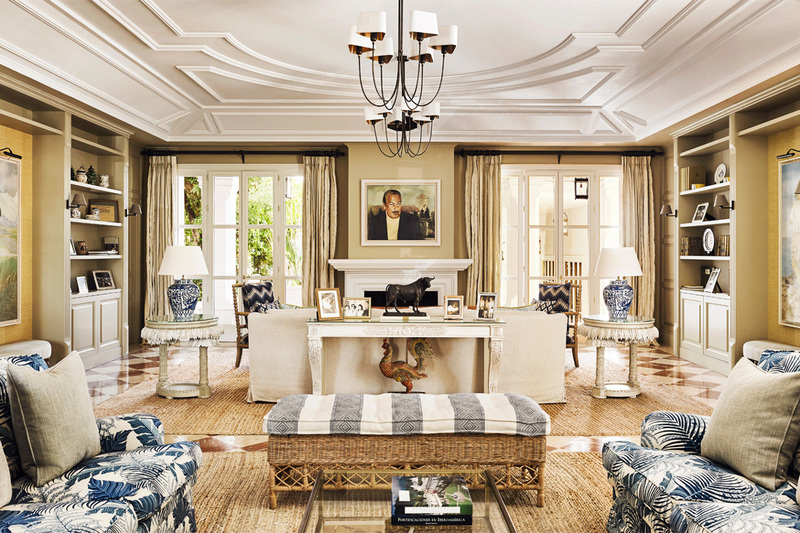 As the number of visitors to the ‘finca’ steadily grew, so did the property, and eventually the Prince, sparked with the pioneering enthusiasm and the visionary ideas that distinguish those who are ahead of their time, was able to make his dream come true, transforming his private residence into an exclusive Marbella club. From that point on, our Marbella boutique hotel has come to be recognized the world over as one of the most prestigious establishments in the hotel world. And the Prince’s vision has become reality with the Marbella Club Hotel • Golf Resort & Spa that we know today. In 2013, the hotel added to its inventory the spectacular Villa Mar. Set on the pristine shores of the Mediterranean Sea. 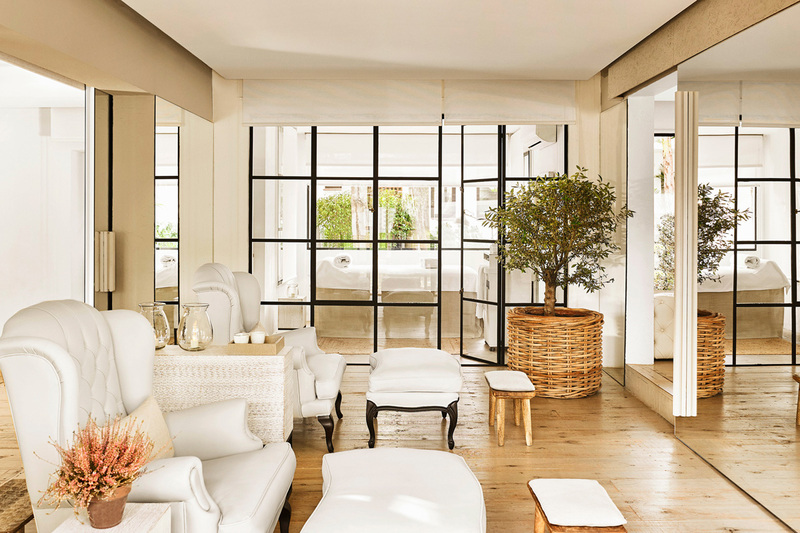 Surpassing its original splendor, the 6,200 square metre villa seamlessly blends the majestic qualities of Andalusian architecture with the latest in contemporary comfort and elegance. All rooms and suite have been decorated by Kamini Ezralow and Jean Pierre Martel. Join us as we discover this small paradise on earth. 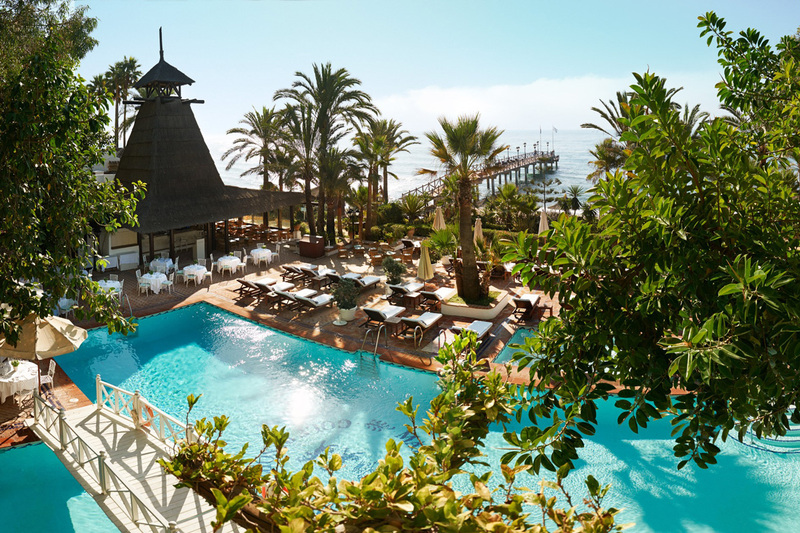 The Marbella Club Hotel • Golf Resort & Spa is located on the southern coast of Spain, in the heart of the “Golden Mile”, between Marbella and Puerto Banús. 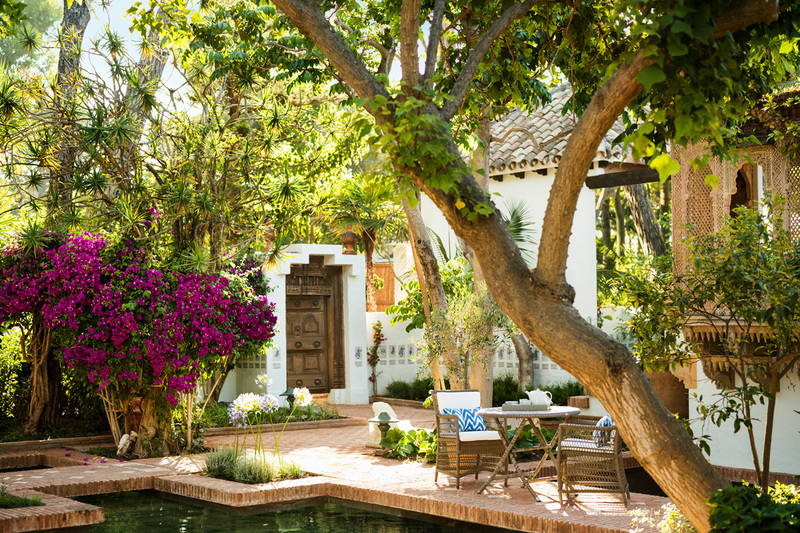 Nestled between the Mediterranean and the impressive Sierra Blanca, Marbella enjoys a unique microclimate that ushers in more days of sunshine year round than almost any other spot in Europe. Thus the Marbella Club Hotel is set in sumptuous surroundings brimming with natural beauty. 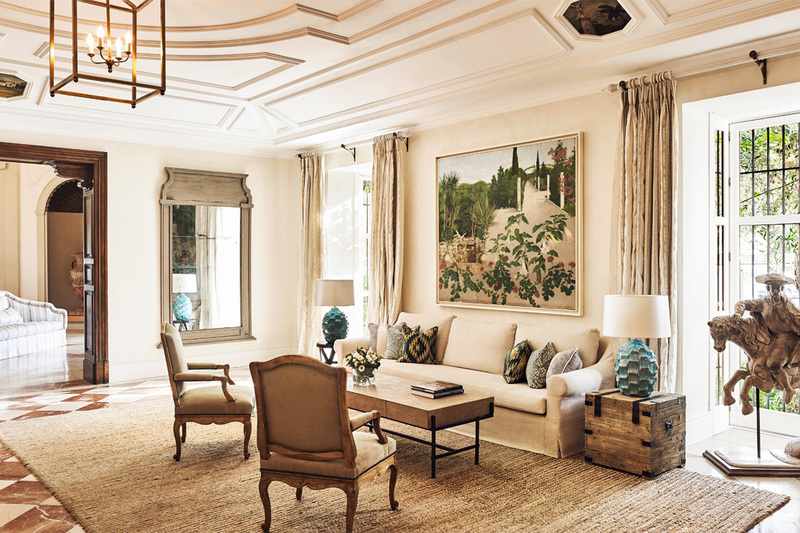 The textiles at Villa del Mar were selected from the finest companies in Europe and executed by a master French upholsterer, whose work includes the restoration of Versailles and the Elysée Palace in Paris. 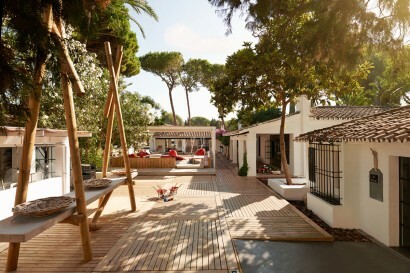 The Kid´s Club is set in the spectacular grounds of the original villa of Prince Alfonso von Hohenlohe, right in the heart of the hotel where 60 years ago the Hohenlohe children played alongside their cousins and the children of famous guests, such as Audrey Hepburn and the Duke of Windsor. 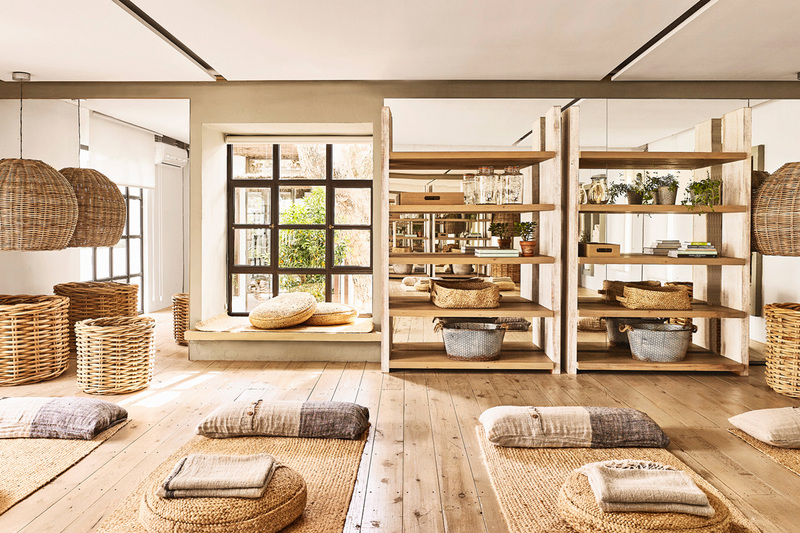 Designed by Minimec, this 5,000 square metre venue includes everything from a dance studio, music room, library, art and pottery area, to an enchanted forest, garage kitchen, vegetable garden, computer room and an entertainment area. The Kids Club is open 365 days a year for children ages 4 – 14. Children under 4 are welcome when accompanied by a parent or custodian. Age group related activities are run by an enthusiastic team of bilingual teachers and guides. Participation is on a full or half-day format from Monday to Sunday. Memberships are available including after school sessions with teacher led homework support, cooking, music, drama, dance, computer, art lessons, sports and other fun activities. When describing the meaning of luxury, Prince Alfonso von Hohenlohe always used a very specific definition: “A blend of privacy and gardens”. 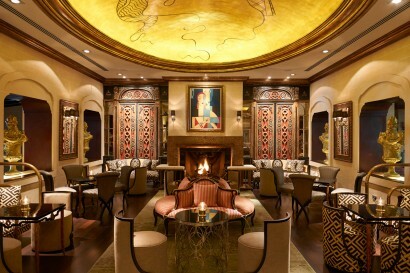 This is a perfect description of the Marbella Club Hotel. 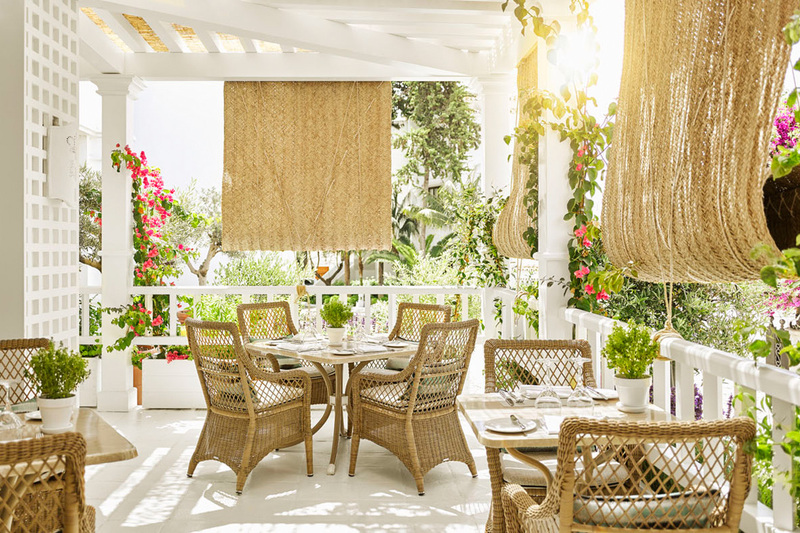 Located on the Mediterranean, the beach front Marbella boutique Hotel has 47 rooms and 73 elegant suites nestled amongst lush gardens designed by the Prince himself. In addition, there are 14 Andalucían-style luxury villas and the magnificent 6.200 m², Villa del Mar. All villas have their own gardens and some offer private pools and kitchens for maximum convenience and privacy. These give the setting the characteristic appearance of an idealized but authentic classic whitewashed village of Andalucía. Enjoy an array of dining experiences from traditional Mediterranean cuisine at the Grill Restaurant, Champagne breakfasts at the Winter Garden & Terrace, contemporary all-day dining at MC Café and fresh fish, salads and meats at MC Beach (seasonally). The legendary Beach Club buffet is a must for all those who visit, while the stylish Champagne Bar offers an extraordinary venue for pre-dinner drinks or an evening out with its extensive selection of Champagne, Cavas and caviar. 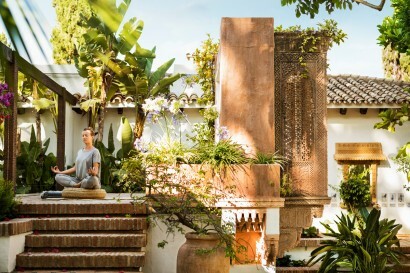 Your journey to wellness starts at ‪Marbella Club. 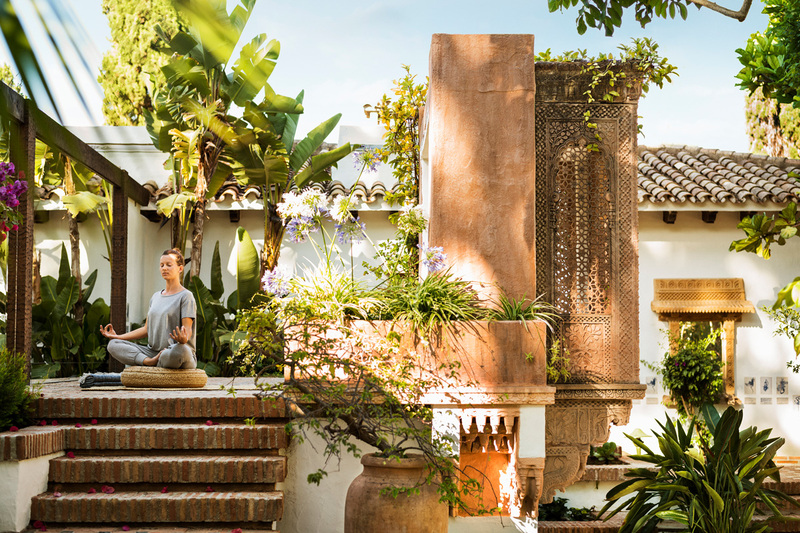 Inspired by the profound benefits of the Mediterranean Sea, the Marbella Club Health & Wellness Centre combines physical exercise and physiological therapies with nutritional guidance and restorative beauty treatments. Managed by a team of medical and therapeutic experts, programmes are enhanced by the hotel’s Thalasso Spa. An 800 square metre (8.611 sq. 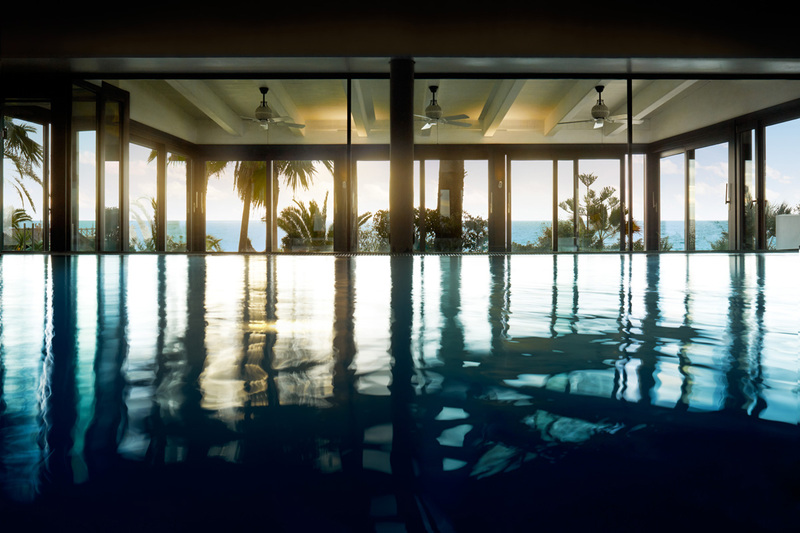 ft.) state-of-the-art facility, the Thalasso Spa boasts a dynamic indoor sea water pool, Hammam and Finnish saunas, a solarium and 12 fully-equipped treatment rooms. 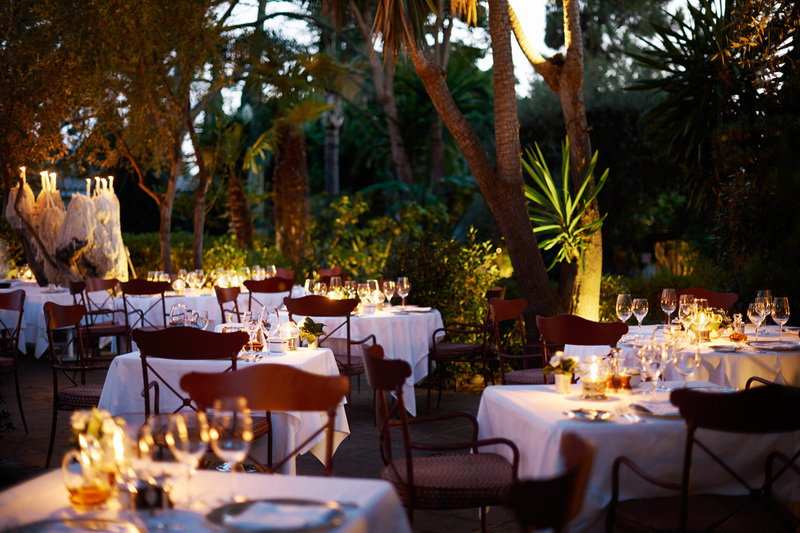 The Marbella Club Hotel is the perfect choice for organised events, meetings and celebrations. We are committed to ensuring that all your guests and parties will be thoroughly satisfied by our services. The Marbella Club’s superb facilities, excellent service and extraordinary organisational capabilities make us an obvious and ideal spot to host your event. In the heart of the Marbella Club Hotel and with the Mediterranean in the background, our Villa del Mar facility is a sumptuous and distinguished setting for any type of event. 2013 – International Hotel Awards 2012-2013 – Best Hotel Spain, Best Hotel in Europe. 2017– The award “Hotel of the Moment” by Conde Nast Traveler Spain.